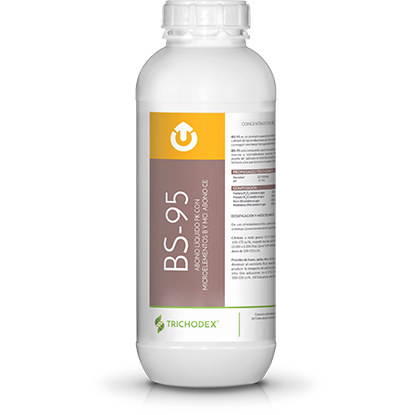 TRICHODEX’s BIOSTIMULANTS line promotes the main physiological processes of the plant to boost its growth, increase the production and developing a better defense against abiotic stress situations. 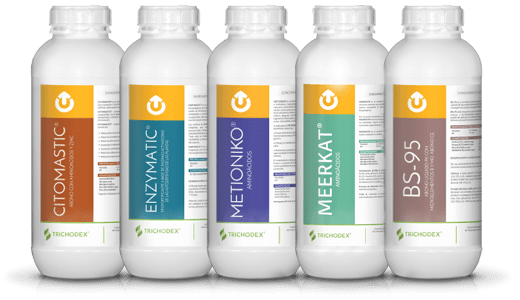 Thanks to their quality and specific formulation, TRICHODEX’s BIOSTIMULANTS, unlike other similar products, obtain a better reaction of the plants to the treatment. 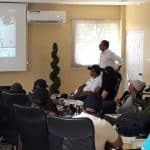 This contributes to get a better profitability in the production by using water efficiently, increasing the quality performance, having a better defense against diseases and a better recovering against harsh climatic conditions. Product recommended to stimulate and improve the root development of the crops. 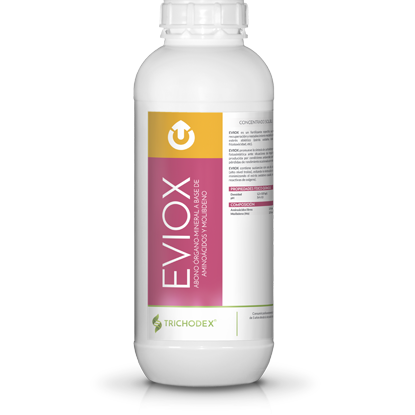 Its formulation stimulates the defense mechanisms of the plant and activates the rhizosphere, controlling and reducing the attack of nematodes. Amino acid enriched with phosphorus, recommended to favor and ensure the flowering and fructification. It composition and acid pH improve the efficiency of the product when it is mixed with other phytosanitary and nutritional products. 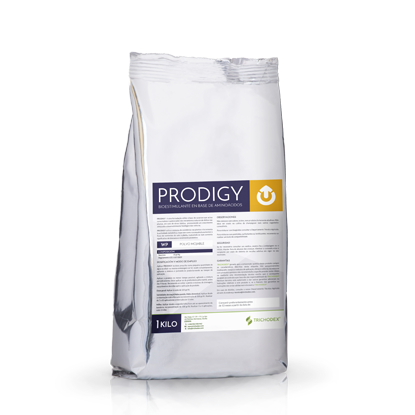 With a high drying power, it paralyzes the development of diseases such as rust and mildew, increasing the effectiveness of fungicides. Specific amino acid without hormones, that favors the color change on fruits, accelerates and homogenizes the ripening of the crops, develops a better firmness on fruits and allows them to last for a longer time after the harvesting. Recommended for grapes, fruits with seeds and stones, citrus,tropical trees and horticultural crops. Specific amino acid for foliar application to increase the flowering and ripening on table grapes, olive, citrus and tropical trees, horticultural crops and fruits with seeds and stones. Its formulation based on Boron and Molybdenum improves the quality of the pollen and the fecundation of the flowers. 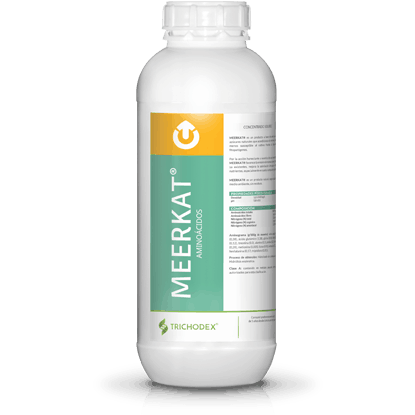 Formulation based on phosphorus and potassium with microelements, recommended to be used after flowering in olive trees, vineyard, strawberry, horticultural crops and fruits with seeds and stone to ensure the ripening, fixation and establishment of the fruits. Amino acid with microorganism ferments to increase the efficiency of the absorption of fertilizers on roots with a soil application, favoring the microbial activity of the soil bacteria. 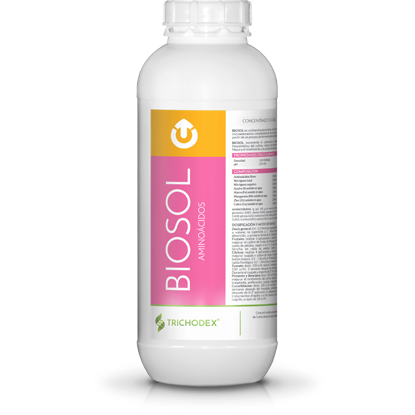 Formulation with foliar application that reduces the abiotic and oxidative stress of plants under changes in temperature, sunstrokes, high UV radiation, saline soils, lack of water and phytotoxicity of plant protection products. Recommended to all crops, especially for citrus and banana trees (mixed with summer mineral oils). 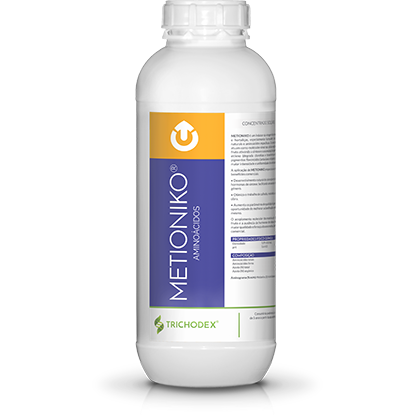 It formulation contributes to increase the metabolic activity of the roots of the plants, generating a physiological response that induces resistance in the plant and avoids the incidence of soil pathogenic fungi. 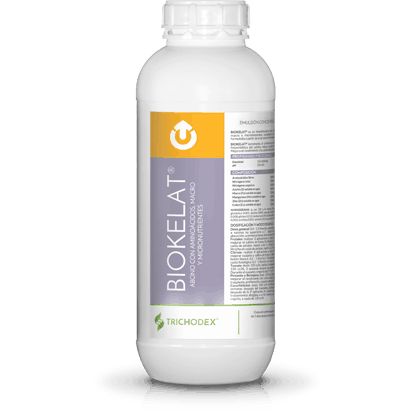 Promotes the assimilation of nutrients and optimization of water absorption. 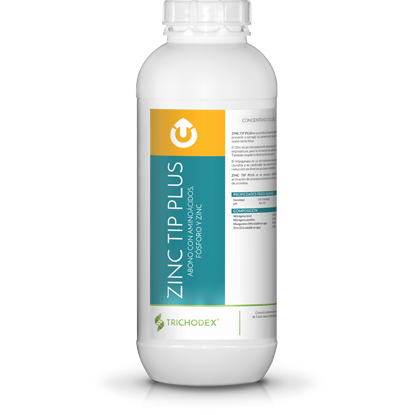 Liquid formulation based on Zinc, Phosphorus and Amino acids, with a quick assimilation and recommended to be used during the first development stages until the flowering of the plants. With foliar application on horticultural, cereal, onion and rice crops, and fruit trees and citrus. Biotechnological formulation obtained from a multistage fermentation process (FPB) with a high concentration of bioactive agents of eliciting nature capable of stimulating photosynthesis, antioxidant activity as well as the secondary metabolism of plants. Applicable to all types of crops.